Strip Large flexible drinking straws, manufactured from Polypropylene. Straws come in dispenser boxes of 250. 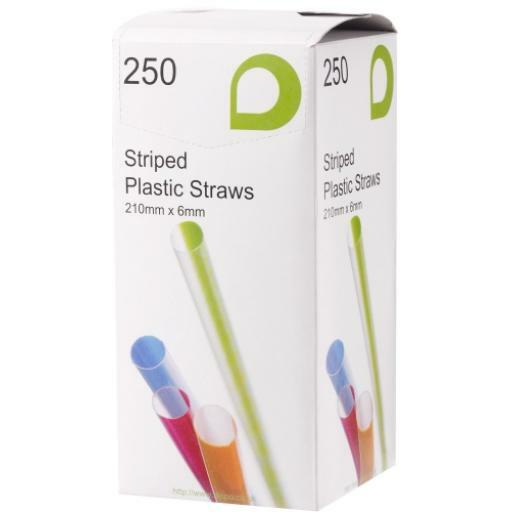 Flexible straws in dispenser boxes of 250. Straws are produced from food grade polypropylene which meets all European regulations.